Originally from Montreal Canada, where Suzanne was raised in a family of beauty salon owners. The Montreal beauty dynasty, originally started by her grandmother, grew toinclude 12 beauty salons. For more than 10 years, Suzanne owned her own boutique salon. As a professional in the beauty business, she became an image and style advisor for many of her boutique’s elite clientele. 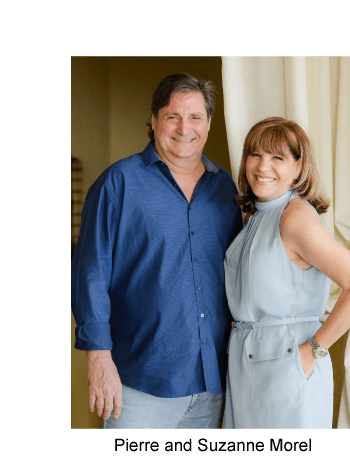 Suzanne (Full Make-up Artist) and her husband Pierre (Business/ Real Estate Entrepreneur) ventured into the American market when they move to Fort Lauderdale Florida in 1974. They opened the most successful full-serviceday spa under the name “The Morel European Spa” and a beauty school, also launched their own line of cosmetics and skin care products, which were distributed in stores throughout high-end shopping centers in the United States and Canada. And eventually all businesses were sold all in 2002 to a public company. Moved to Cabo San Lucas in 2003, where they continued in the spa and beauty business industry, by offering the only boutique luxury spa on-location and personalized hair and makeup services for brides and special occasions. At the time, Los Cabos was quickly becoming one of the trendiest locations in the world for destination weddings. With Suzanne’s extensive experience in style and design, she was in a unique position to be able to offer prospective clients the whole package: from venue choice to menu selection, flowers to furniture rentals, lighting to linen designs, staging to sound, and entertainment to ambiance, no detail is left untouched. Her companies meticulously provide every polished detail to deliver each client the perfect special event. The Morel Companies include: Cabo Linens, Things & More (offering custom décor designs,accessories, and furniture rental collections for all kind of events), Suzanne Morel Face & Body Care (specializing in full services on-location spa and including bridal hair and makeup), and Creative Destination Events (providing event management, coordination, planning and design). The Morel Companies have garnered widespread praise from others in the industry, including Cabo’s premier event vendors, industry experts and, of course, their discriminating clientele. Their reputation for quality is matched only by extraordinary commitments to excellence. They take great pride in listening intensively to each client and providing a service that perfectly represents the client’s individual a taste and need. All our staff are certified and trained by us. At Suzanne Morel Face & Body Care, we assign a personal spa concierge to accompany our therapists and stylists to each appointment. Your spa concierge speaks fluent English, ensuring a flawless experience with your spa services. Your personal spa concierge oversees the setup of your services as we turn your villa or resort room into a private spa just for you. She also coordinates with the therapists about your schedule of services and handles payment for your convenience. We consider our personal spa concierges a tremendous asset to our mobile spa company they help us guarantee your experience exceeds your expectations! With Suzanne Morel Face & Body Care, you receive the most professional mobile spa services in Los Cabos, and you don’t have to leave the comfort and privacy of your villa/resort to do so! Enjoy the spectacular views together with your loved ones as you enjoy the best in luxury spa treatments at your location. Our company is fully licensed and insured and follows very strict sanitization standards for your protection as well as ours. 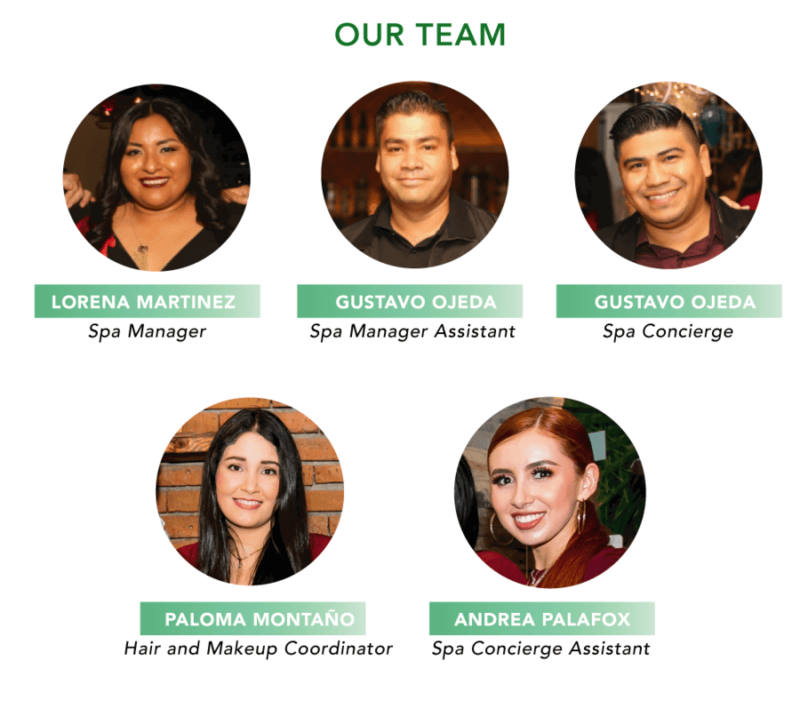 Suzanne Morel Face & Body Care has been providing Los Cabos visitors with luxury Spa services with creativity and professionalism…listening and understanding the needs of our clients has given our company the perfect formula for a very successful enterprise. Suzanne Morel Face & Body Care is a company with a conscience. We are an eco-friendly company and embrace the green movement in our practices and featured products. We make a point of using natural organic ingredients like olive oil, seaweed, cocoa, fruits, honey and an assortment of herbs and plant-based products, as well as aromatherapy oils in all of our different spa treatments. Our luxury boutique mobile spa and bridal salon, Suzanne Morel Face & Body Care, was the first of its kind in Los Cabos when we opened in 2002. Nearly all of our skilled hairstylists, makeup artists have been with us for more than 14 years. 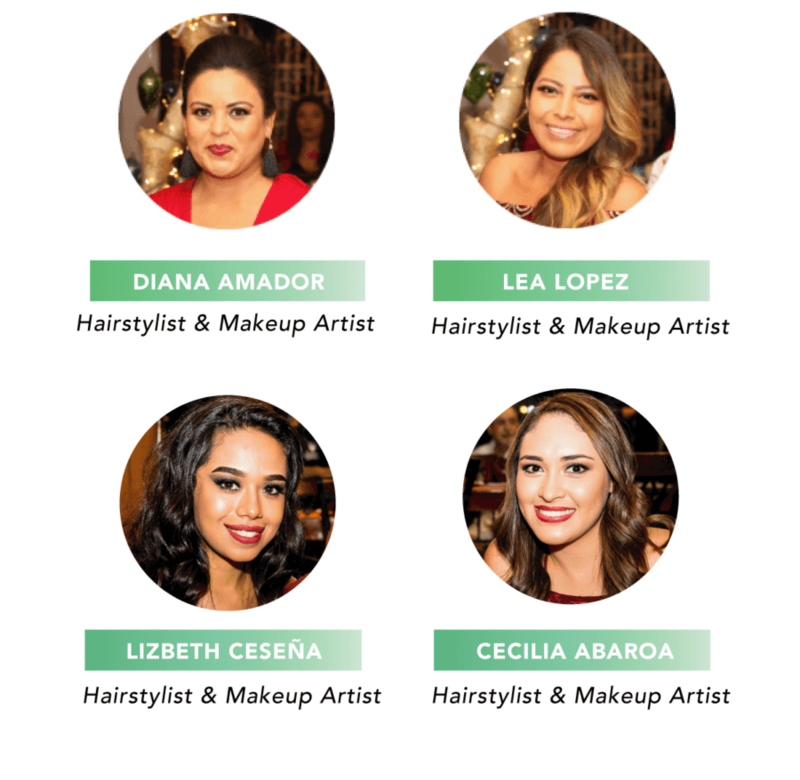 We have an unmatched reputation as the best on-location bridal beauty team in the region, and our trained professionals work exclusively in bridal style, meaning 100% of their experience comes from styling the hundreds of ladies who trust us to do their wedding hair and makeup each year.